Bring a little color to the Christmas season. This graphic uses a range of diagonal stripes for a new take on traditional imagery. The palette of the background moves gradually from light green and blue to a calm yellow. 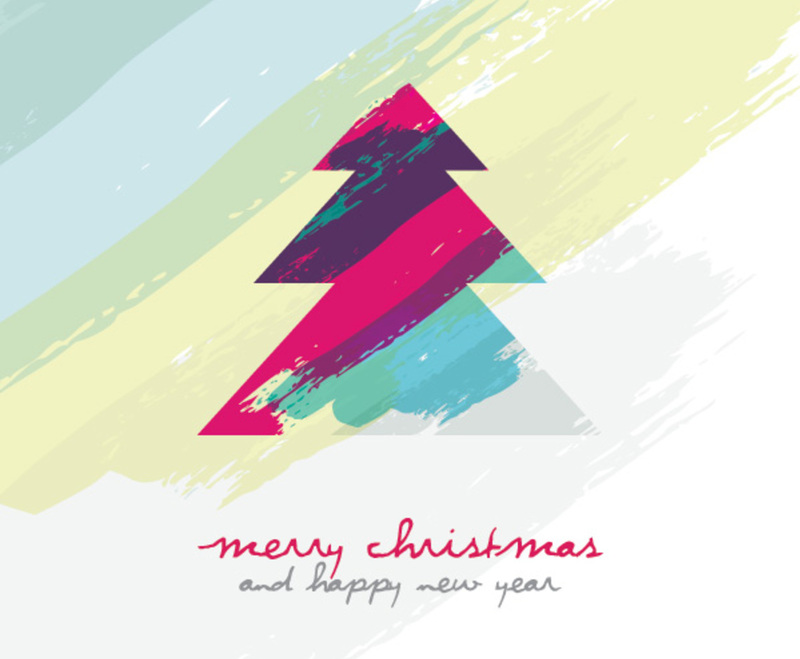 Meanwhile, the outline of a Christmas tree in the center of the image uses distinct stripes of fuchsia, blue, and green. It's an artistic effect, and each stripe dissolves at its edges to reinforce the fresh water-paint aesthetic. Overall, this is a modern, trendy graphic, but it's still warm and inviting. It's a lighthearted way to deliver a message to friends, family and colleagues during the holidays.